Analysis: How do immigrant activists regroup for 2018? The political landscape has shifted under the feet of a network of immigrant rights groups that have faced a bevy of setbacks in the first year of President Donald Trump's administration, after years of gains. In March of 2018, the Deferred Action for Childhood Arrivals or DACA program is ending under a Trump-set deadline. Although many young adult immigrants will still have permission to stay in the U.S. past March, they won't be able to renew that permission once it ends. Many already have lost or are losing their DACA permission, about 122 young immigrants a day, activists say. It has been a tough year for immigrants and 2018 may not be any easier. Trump's travel ban on Muslim countries was one of his first executive orders, and he continues to insist that Congress allocate funds for a massive wall on our southern border. Attorney General Jeff Sessions continues to target "sanctuary cities" for punishment, and new orders to step up deportations have unleashed Immigration and Customs Enforcement agents into courthouses and hospitals. Earlier this year, ICE shocked the nation when agents apprehended a 10-year-old girl with cerebral palsy as she was recovering from an operation in a Texas hospital. The hostility to openness towards immigrants and their countries of origin has reached new highs under Trump's administration and immigration organizations have had to rethink how they will achieve their goals while Congress continues to avoid any action on resolving the open problems with our immigration system. Working in their favor are polls that consistently show strong public support for Dreamers, the young immigrants without permanent legal status. A recent poll by NBC/WSJ shows that 53 percent of Americans support extending DACA status for Dreamers. This suggests that activists will need to widen the national concept of how immigration policy touches Americans not typically associated with immigration. One group that could be emerging to take on a bigger role in the activism is Asian Americans. Nonetheless, several activists interviewed over the past year still conceptualize their movement in more narrow terms, and view their power as centered around their immediate immigrant community. Under those circumstances, where does that leave immigration activism in the Trump era? Throughout this year immigration groups have held held sit-ins, "die-ins," fasted, been arrested, blocked tunnels between the Capitol and congressional members' offices, held Dreamer dinners with congressional members and many other activities in hope of ending 2017 with some kind of favorable legislation that protected them from deportation and allowed them to continue working and living in the U.S. Despite all that work, Congress went home for the year with no Dream Act passed. That sets up a monumental debate for next year. Republicans say they are willing to negotiate on a Dream Act but not without tougher border security measures. Immigrant activists then will have to decide whether they'll accept even more of what the administration has already put in place in exchange for hundreds of thousands of young immigrants, and possibly others here without legal permission, being able to stay in the U.S. and work. In his book, Latino Mass Mobilization: Immigration, Racialization, and Activism, Chris Zepeda-Millán looks at immigrants as agents of change in our immigration system, rather than passive receivers of policies enacted by non-immigrants. His book centers on the massive immigration marches of 2006 and ties them to a long history of mobilization by Mexican-Americans and immigrants pressuring for greater inclusion into the American project. An assistant professor at the University of California at Berkeley, Zepeda-Millán examines the heart of the old Chicano activists, the union organizers and the immigrant organizations that welcomed newcomers and integrated them into society through education programs and citizenship drives, to understand how they directly affect the organizers of today. To get results in the Trump era, more work needs to be done to unite the immigrant activists' interests with others around the country, such as prison reform and abortion rights, researchers like Zepeda-Millán say. "Immigrant rights organizations are going to have to tie issues together, issues like police repression, Black Lives Matter, the prison industrial complex, education and others" and connect with existing networks run by black organizers in the South and the Midwest, Zepeda-Millán said. Earlier this month, immigrant organizations gathered in Phoenix to discuss new strategies and how they can summon old lessons for this new fight. Speakers at the National Immigration Integration Conference (NIIC) echoed the sentiments of Zepeda-Millán. At the conference, some were so bold as to set their eyes on more immigration-friendly policies in Texas. Among them was Esther Lopez, international secretary for the United Food and Commercial Workers International Union. Asked what the immediate future of this new fight will look like, she said, "Beside creating more unions, I think we need to throw down in Texas." Texas has been long seen as the holy grail of electoral politics for Democrats, and the surest route to breaking the impasse on the national debate over immigration. Many agreed throwing down in Texas, or in other states, will require greater coordination and coalition building. But activists still define the concept of coalitions too narrowly, said Zepeda-Millán. Today's activists need to work harder at cross-fertilization of issues, he said. Harsh immigrant crackdowns are happening in Georgia, North Carolina, and Virginia, and Zepeda-Millán said national organizations could be more effective by joining existing groups there and tipping the balance for Democrats who support immigrant-friendly policies. There has long been activism on immigration and the latest movement came of age as more and more young immigrants ran smack into obstacles to their future. Sheridan Aguirre is a Dreamer whose activism was sparked by what preceded him. Like hundreds of thousands of other immigrants, Aguirre has DACA. He knows he's far luckier than others. Texas is one of the states that allows undocumented immigrants who meet state residency requirements to pay in-state tuition. But he soon realized, that benefit was not a given for students like him. "I grew up in Fort Worth. TCU (Texas Christian University) flags lined our streets and I already had it in my head that I was going there when I got into high school," he said. "In high school, I thought it was just going to fall out of the sky, but then I learned that a lot of advocates had pressured the governor to sign in-state tuition laws," which made it possible for him to attend. Grateful for the lower college costs, he joined in the immigration activism movement. Telling personal stories like his is one way the movement can bring about change, because it gives human faces to the policy fights and connects with other young people in the same place or with friends in the same place, helping to grow their ranks, Aguirre said. Such personal story sharing needs to continue, along with showing communities how to fight for themselves, he said. Aguirre agreed immigration activists also have to pull in traditional progressive organizations that don't usually take a stand on immigration or that some may not connect to immigration policy, such as Planned Parenthood. And there needs to be a willingness to ruffle the feathers of perceived allies, such as Democrats, he said. 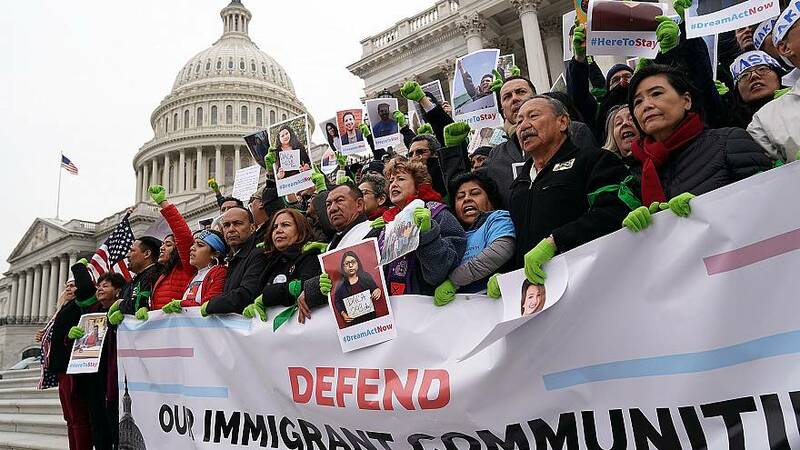 Immigration activists have been able to show the power their activism can have in elections, even though many can't vote because they are undocumented. As Zepeda-Millán reflects on his own experiences, he found it odd when researchers discounted the effectiveness of organizing by undocumented members of the community. "For years I was told that undocumented immigrants can't participate because they are not citizens, but that was contrary to my experiences growing up in Boyle Heights." Boyle Heights is a Los Angeles neighborhood known as the epicenter of the Chicano rights movement, as well as other protests that have gained prominence in the lore of organizers. Zepeda-Millán said that immigrants have to take the activism waged in Boyle Heights and Phoenix, to non-traditional environments, such as in the South and the Midwest; places where they may not have the electoral strength behind them. "This means new strategies and looking beyond our own electoral heft. Sometimes we have the voting power behind us, sometimes we don't. We are going to need to adapt once again," he said. The long history of immigrant activism has placed today's groups in a position of greater strength than they ever had before and the growing political power of immigrants is what undergirds protest organizations like Puente Arizona. While the immigration integration conference was going on in Phoenix, Puente Arizona, a grassroots organization that was formed just before President Barack Obama took office, held a protest of the county's newest sheriff, Paul Penzone. The group formed around increased use by police on racial profiling for immigration enforcement, an outgrowth of the "war on terror" that emerged after the Sep. 11, 2001, terrorist attacks. Their protests soon focused on Joe Arpaio, the former Maricopa County sheriff booted out of office after he was convicted of criminally disobeying a court order to stop arresting people solely on the suspicion that they were in the country illegally. Trump has since pardoned Arpaio. The activists registered and mobilized voters to help Penzone defeat Arpaio in 2016. They have since become disappointed with Penzone too, feeling he hasn't followed through on promises to the community. So, they have ramped up their activism machine and are pressuring him on such things as his level of cooperation with Immigration and Customs Enforcement. "A year later he has not done what he said he would, he's still working with ICE, he has not improved conditions at the jails, and they're still patrolling Latino neighborhoods." said Ernesto Lopez, an activist with Puente Arizona. Another example is the DACA program, which Obama authorized only after activists waged protests against his administration, tagging him as "deporter-in-chief" and becoming a potential threat to him and other Democrats in the 2012 elections. "The Democratic Party didn't give us DACA because of protests, but because behind the Dreamers was a large network of growing political power," Zepeda-Millán said. "The power of our activism is the assumed electoral heft underlying their demands. DACA kids can't vote, but politicians see a direct connection between those kids and voters." This growing political power is what undergirds the protests of organizations like Puente Arizona and the Dreamers. However, this doesn't necessarily work in Wisconsin, or Georgia, or North Carolina. Instead, activists need to take their knowledge and skills and supplement existing activist networks already on the ground, Zepeda-Millán said. Guy Reiter, an organizer with Native Organizers Alliance, however added perspective as others were speaking about the resistance. "The resistance has become part of the lexicon," he said. But he reminded the audience, that resistance in the Native American community is hundreds of years old. "The system is not broken," he said. "That is the way it is designed, the system works just fine. I look at our communities and I see our struggles together. I see a lot of trauma, a lot of hurt. The only way we will heal is if we recognize that pain together." Success in 2018 will hinge on how effective immigrant activists and other civil rights organizations can mobilize on this common pain they share with others.